This past Monday, David Shiffman, who goes by the nom de plume "WhySharksMatter" on the blog Country Fried Science, posted an interesting scientific perspective on the issue of shark finning. Concerned with how some shark advocates view the various facets of commercial shark fishing by lumping them all together as one big inhumane practice, David set about defining what is and is not shark finning. Shark finning, specifically, is when a shark is caught, its fins cut off and the remaining live animal is discarded and thrown overboard to drown. 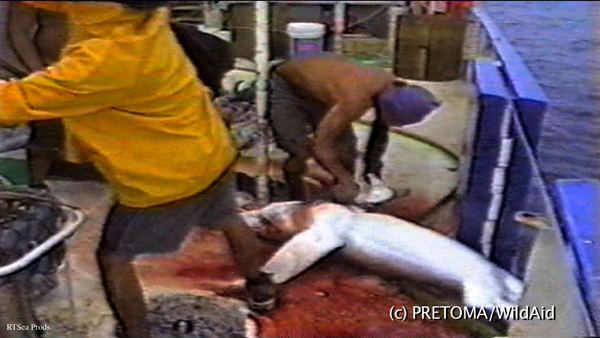 This is the inhumane and wasteful practice that has so many shark supporters fuming. However, David wants to point out that if the shark is caught, finned, and the carcass kept on board, that does not necessarily constitute shark finning in the "classic" sense. And if the shark is caught and the fins are retained, with the idea that it will be processed further onshore, that does not fall under the heading of shark finning. Three different commercial fishing techniques with different levels of waste and economic allure (a boat full of only fins brings in much more for its catch than a boat whose hull is full of whole shark carcasses). David makes these distinctions because, as a scientist, he is concerned with the movement underway to pass shark fin prohibition legislation, as has been done in Hawaii and along the west coast of the U.S. with more states following suit. 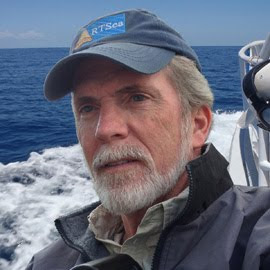 It is viewed by some as perhaps a myopic approach to the problem of shark conservation and David supports a more comprehensive approach that includes shark fishery management including science-based quotas, selective species, and proper monitoring and enforcement. I can understand his point of view in that shark fin bans do not address the whole range of issues regarding shark conservation. In fact, this "silver bullet" approach - one that is often taken by societies because it can appear to be an easy fix - can often prove to be potentially counter-productive as it can be that once the legislation is passed, people falsely begin to believe the problem is now solved. No more problem, we just banned it. Shark conservation, like many other ocean conservation problems, is multi-faceted. And it is governed by market demand (which fin bans do not address), scientific data, and commercial or economic interests (which can sometimes undermine the power and merit of the science-based positions). However, while shark fin bans may not be the answer unto themselves, they can be a strong galvanizing component in a series of measures that constitute a complete shark fishery management policy. That is, if you believe that sustainable management of today's populations of commercially-viable species is possible. I, for one, have my doubts. I take the position that commercial shark species have been sufficiently over fished to the point where the possibility of exercising sustainable catch levels no longer exists. At best, moratoriums hold the faint chance that at some later date, many years down the road, a very limited shark fishery could perhaps be maintained. I have always heeded the advice of Dr. Sylvia Earle wherein she sees eating fish, any fish, taken wild from the ocean amounts to eating "bushmeat." Long ago, society realized that hunting had to be replaced with raising cattle and poultry to meet our needs; hunters and gatherers became farmers. And from that historical perspective I have come to view sustainable seafood with a measure of skepticism. It is like putting your finger in the dike to stop the leak, but someday the water will eventually reach the top and spill over. If, according to David, shark advocates who promote shark fin bans are being a bit naive, I am perhaps guilty of being the same when it comes to my belief that aquafarming will ultimately be the answer. Aquafarming, whether taking place on land or at sea, is currently fraught with problems ranging from pollution from concentrated fish waste and pharmaceuticals to unappealing cost-per-pound ratios (how much fish food is required to produce a pound of saleable fish). 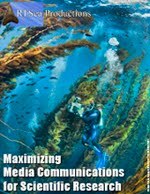 It's the dreamer in me that says, if we can shift dollars from subsidizing or supporting a commercial fishing industry that is ultimately doomed to collapse and put those monies into addressing the challenges to developing safe and cost-efficient aquafarming, then perhaps sharks and a whole host of other marine species may have a fighting chance at survival. David Shiffman's post is an interesting read and I recommend you take a look at it. He presents the information as a primer followed by a brief quiz as to what constitutes finning based on a series of photos. The string of comments that follow his post are also worth reading. While shark fin prohibition legislation may rally the troops under an easy-to-support banner, it is not the definitive answer. However, I believe that all other measures, while having some positive effect on the problem, will ultimately be outweighed by the basic reality that to meet the needs of a growing worldwide population, mankind will need to raise its seafood like it does its fruits, vegetables, beef, and poultry. Great post, Richard! I actually agree with you that aquaculture will be a big part of the solution. There are a lot of environmental issues with current aquaculture technology, but some smart people are working on resolving them.